18/7/13 Revision 1: See posts below. Some background info: I used to collect Lego city sets up till 2008, where I just got out of it, and have not bought a set since. 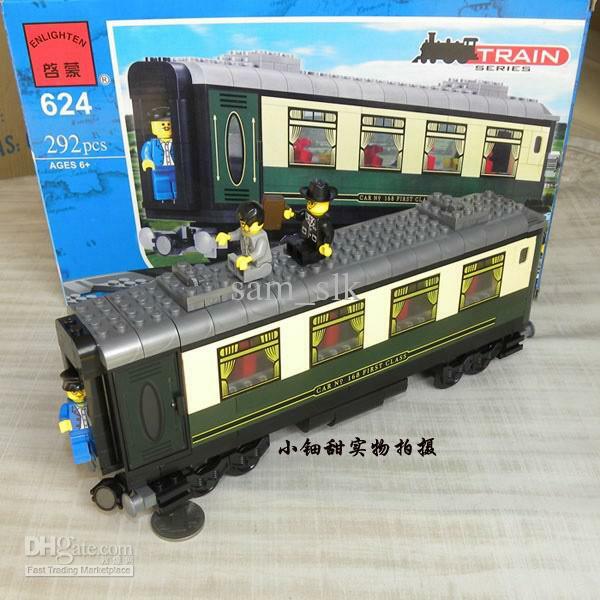 Over the years, sets like the Emerald Night/ Maeresk Train have interested me, but I never got around to picking it up. Saw the Lone Ranger a few weeks back, and then I was really tempted to get the Constitution Train. Am planning to get it, as soon as it goes on sale. 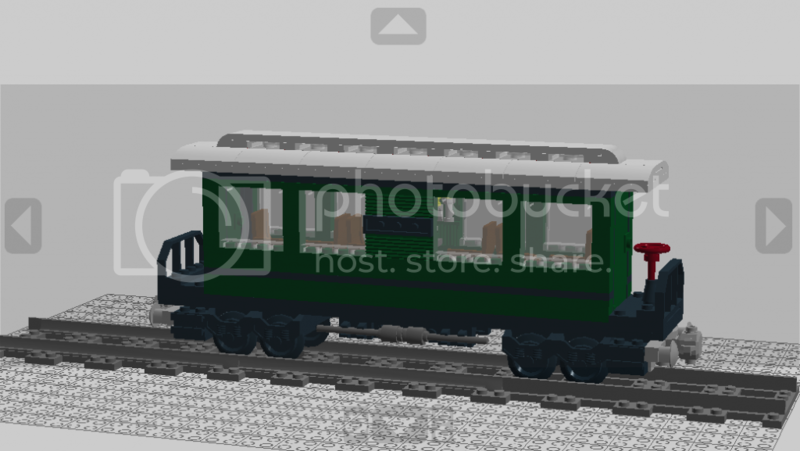 So, in the meantime, I decided to make some MOC passenger cars for it, to make it a tad more screen accurate. There are some reference material online, and I did not got for a 100% look. Just something that looked "about right". Probably not the best MOC too, it's my 1st time working with any LDD of sorts. And here's what I got after some playing around in LDD. It's not perfect, but I'm pretty happy with how it turned out. 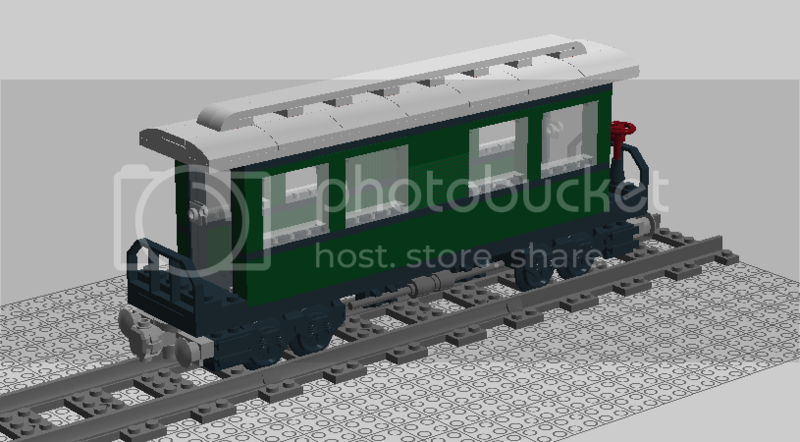 Now, I will actually be buying one of the Enlighten trains to build this. Just to get the nifty printed window pieces, and the chassis. For about $14 USD, It'll be cheaper than getting lego parts for the chassis. Also, the off-coloured green could possibly work out to create a two-toned car, which could look pretty cool. My only fear is that this car is way too tall for the Constitution train, given its small size. Oh well, I'll have to wait and see. 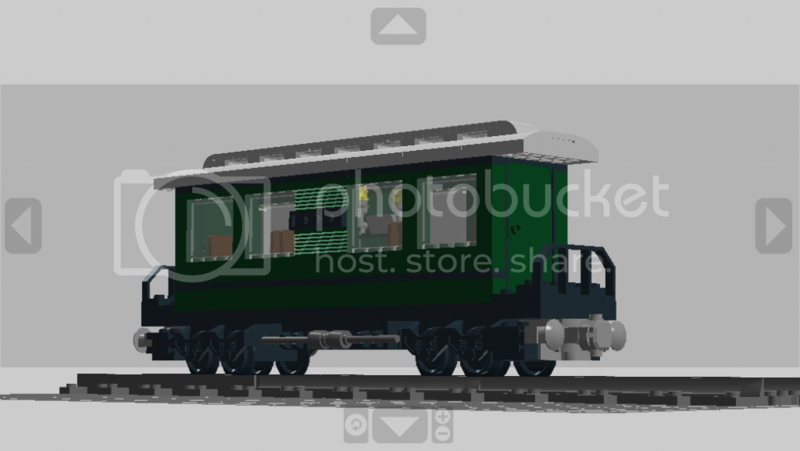 Good job with the train design in LDD! My first design didn't look perfect either! I was going to comment that it'd look better in 8 wide, but the rest of the set is 6, so it'd look out of place alone as 8. Look pretty decent. 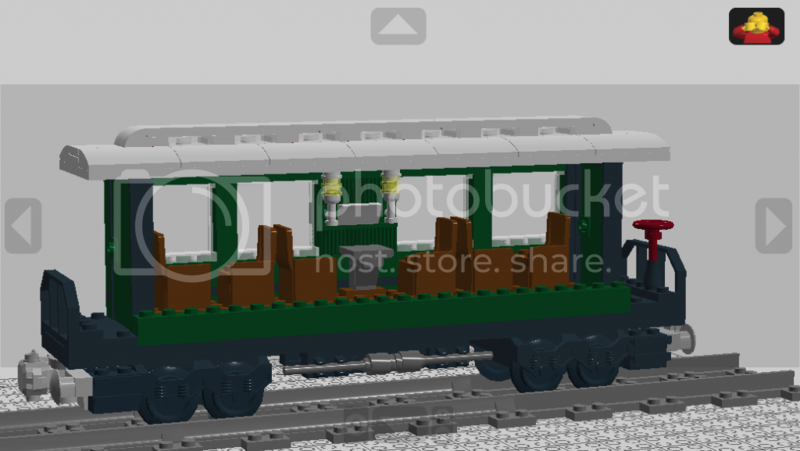 Maybe change more of the bricks on the sides to 1 x 2 Modified /w grille: http://www.bricklink.com/catalogItem.asp?P=2877 to give it more texture and put some clear 1 x 2 plates in the upper roof to fill it out. Added interior for the fun of it. Thanks to legoman666 for pointing out the missing clear parts in the roof. Oops. Moved around some colours, the black stripe, while not movie accurate, works oddly well. You can see some of the interior lighting from here. These fit very nicely into the look of the Constitution set. Being a fan of older style American rolling stock, I have to say one of the things that bothers me about this is the size of it. It fits with the childish look that Lego gave the set but if the car was a little longer, the windows might've not looked abnormally large. Also, the truss rods underneath are a nice touch, though they are a little basic, maybe bent flex tubing would be better. Also, the side steps, if I could make a suggestion, I created side steps for some moced cars which very nicely look the part. Though I would inset them a bit into the truck so it looks as if the steps are recessed on the end walkways. Hope I could help a bit. Thanks for the feedback. Yeah, This was a compromise between the actual size and the squashed down size that lego made the rest of the cars. I was also restricting myself based on the number of pieces of roof slopes i can get in this grey colour. They are fairly hard to come by... :| Especially in this parts of the world. That's an interesting way of doing the stairs. Might do that in a future model. The design is mostly restrained by the amount of pieces i can realistically get. PAB does not ship here, and it would be a hassle to go through Bricklink. There are some stores that have a PAB-like service here, and most of the pieces they carry are very basic. But that's all I'm going to get. Flex tubing, it's the hollow long tube element that can be cut down to length or bent. And the roof, not many coaches of the period had white roofs. I'd go for a light gray if I were you. Might also be cheaper. It's actually light gray. ;) Also, PAB only has white tiles. :( I do have some spare grey roof tiles though. You could go with a dark gray as well. That is also prototypical but might clash a bit with the green. Constitution engine has a black roof, brown windows. That may work better. Buut the cargo car does have a grey and black roof. Interested to see your final! Got a pair of enlighten deluxe cars inspired by this thread. I havent yet built the constitution but I Don't think they are out of proportions to even the ghost train engine, its only one or two plates lower. Your design would work great with most parts from the enlighten set, adding the 4 24 stud bricks and two doors and you are almost done getting a slightly shorter car. Unfortunately there are no 1x1 green or tan bricks so you need to finidh it off in lego colors.